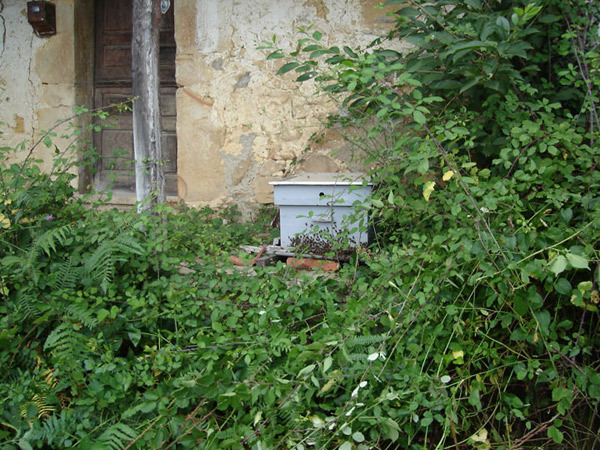 Clearing of weeds from a path in front a beehive. Every year. In an abandoned house, in an abandoned village, in the mountains.